The new DC superhero movie Shazam! opens this weekend, starring Zachary Levi as young Billy Batson who transforms into a red-and-gold costumed superhero when he says the magic word. The hero’s failure to find an appropriately catchy name is one of the movie’s running jokes (the IMDB just lists him as Shazam). But earlier Shazam! fans of the Whiz comic, the 1940s serial, and the 1970s TV show know that that hero had a different (and familiar) name. That guy was known as Captain Marvel, and in the 1970s, at least, his counterpart Billy Batson (played by Michael Gray) had a whole crew of Olympian advisors. Shazam! ran on Saturday mornings, a rare live-action series amidst a sea of cartoons, alongside a female goddess counterpart, The Secret Of Isis. Billy had a pretty cool gig, driving around the country in a Winnebago with his advisor known only as Mentor, played by Les Tremaine (they couldn’t have come up with a better name than Mentor? It’s like naming your dog, Dog) and helping people. 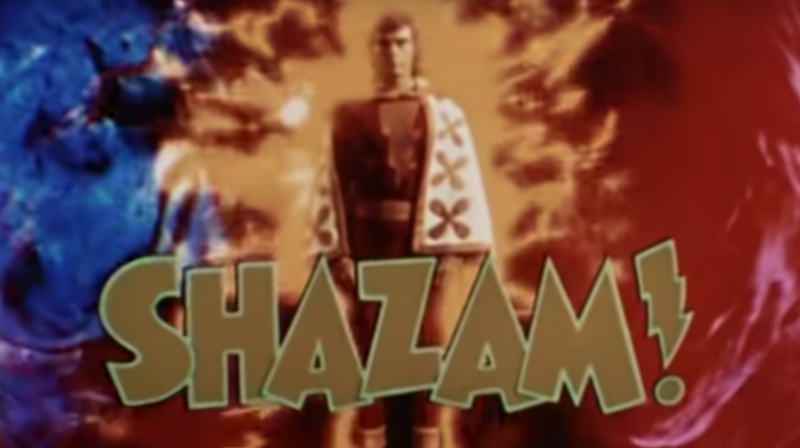 And when times got tough, Billy would either say the magic word (“Shazam!”) to turn into the Superman-like Captain Marvel (Jackson Bostwick), or call out the gods he got his name from: Solomon, Hercules, Atlas, Zeus, Achilles and Mercury, summoning them with the immortal line, “Oh, Elders, fleet and strong and wise, appear before my seeking eyes!” The elders in the series were animated with some trippy colored lighting effects as they offered Billy their combined age-old wisdom. Other Shazams leaned mainly on the Wizard Shazam, but 1970s Billy got a whole crew. The special effects, of course, pale compared to the current Shazam!’s, especially the flying sequences. But hey, this Captain Marvel at least had a name, and could still stop a plane with his bare hands. Devout Shazam fans can find clips on YouTube (including some fun Isis crossovers), and then amaze their friends with the knowledge of the names behind the Shazam! acronym.